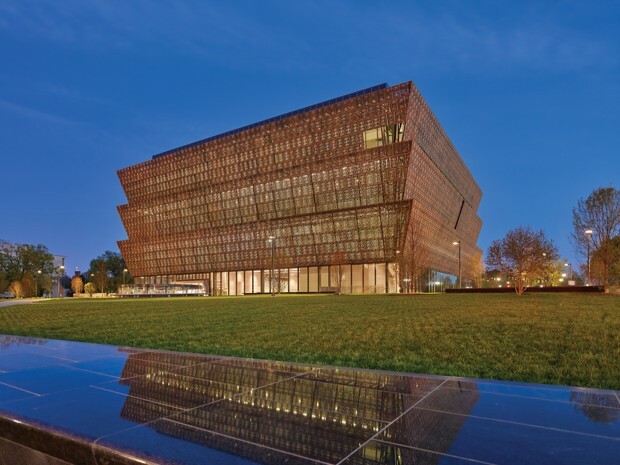 The Smithsonian’s new National Museum of African American History and Culture is at once triumphant and crushing. By the cold universal logic of statistics, none of us should; each of the near-7-billion lives on Earth is a mathematical fluke. But as an American black person, albeit as a free person with a fairly full complement of civil rights, I’ve always been aware of the especially immense unlikelihood of my own existence. For four centuries, most people who look like me and the vast majority of the people who gave rise to my own flesh and blood have been killed, crushed, or disenfranchised under the torture rack of white supremacy and racial injustice. As police violence, voting rights, and Donald Trump’s promises of Big Racism dominate our political conversations, and as protests and riots roil the streets of my birthplace of Charlotte, I’m reminded that I may be thanking my lucky stars a bit too soon. A floor-by-floor preview of the most anticipated—and last—museum to come to the National Mall. Black history is usually portrayed as the opposite of unlikely. Even the most well-meaning and well-sourced books and films that make up most of America’s black history canon tend toward a view of an inevitable journey to progress that is all swelling strings and sepia photographs: a series of still images from slavery to marches on Washington to freezing inaugural processions down the National Mall. The problem with that approach is that it’s hard to reconcile the musculature and endurance of the racism that black people still endure with the idea that freedom is their destiny. History has been mostly relegated to a large, subterranean chamber, where small galleries are connected by ramps leading up from the lowest level, devoted to the origins of the Atlantic slave trade, the Colonial era, the antebellum South, the Civil War and its immediate aftermath. The underground placement of the history exhibit is probably better described as a purposefully subversive use of space, rather than relegation. After an initial walk down a stairwell framed by a mural of the triumphs of black history—the photos of Muhammad Ali and Barack Obama and Martin Luther King, Jr. that most people expect—viewers are essentially deposited into the bowels of the slave ships that stole so many souls from the African coasts. Hushed, claustrophobic halls display the worst of the bloody origins of slavery and detail how the slaves who were lucky—or unlucky—enough to survive the trip below the decks could only expect to live an average of seven years after being sold into plantations. The resulting climb up through history is a barrage of information and an assault on the senses, an intentional juxtaposition of promise with sorrow. At one point, after walking past a proud depiction of a black Revolutionary Patriot, viewers encounter an huge multi-story exhibit embossed with the most famous words of the Declaration of Independence: All men are created equal. Standing underneath those words like Damocles under his sword is a statue of the framer Thomas Jefferson. Beside him is a pile of bricks representing the Monticello, with each brick representing one enslaved human that built it. The descent and ascent achieve an effect similar to Dante’s harrowing journey in Inferno, and the walk upwards through Reconstruction, Redemption, the civil-rights movement, and into the present day is a reminder of the constant push and pull of horror and protest. Black towns that don’t exist anymore and black neighborhoods that were burned down are memorialized alongside the works of Ida B. Wells and W.E.B. DuBois. One exhibit features the names of lynching victims, a soul-rending litany that feels even more awful because of the names themselves. How many freedmen renamed themselves as Freemans or after Founding Fathers in aspiration only to be killed? At least a few George Washingtons show up on the list. In his review, Kennicott found this setup “at times overwhelming” and criticized the density of information on display and the tendency toward front-loading visual images near the present-day exhibits. My experience was that these are necessary features, rather than shortcomings of the museum. Many viewers—even those of us who are black—know less about the truth of black history than they do natural history or even how airplanes work. Any amount of information beyond the textbook clichés will probably overwhelm. The mission of the exhibits seems not to always be to “clarify and teach,” as Kennicott hopes, but to impress upon viewers just how much they don’t know, and how deeply the grand conspiracy of white supremacy runs. That explains the emphasis on media-heavy exhibits for episodes nearer the present: So much black history has been systematically destroyed and denied chronicle by that conspiracy, that the curators emphasize its richness where they can. The phrase that “black history is American history” could be interpreted as a plea—or as a declaration of ownership. The walk up through history doesn’t end with the election of President Barack Obama, which is usually seen as a kind of bookend on a tidy narrative of black American progress, but with interactives showing the rise of Black Lives Matter and the injustices that movement now faces. Given the structure of the exhibits below, that arrangement is predictable. Revolutions are displayed beside counter-revolutions, and protests beside the atrocities that sparked them. Even if the museum does take the civil-rights movement’s core mantra of “We shall overcome” seriously, the exhibits appear to interpret that song as a call to action instead of as pure prophecy. To me, the museum’s subversion of the inevitability of progress complicates the critique of “respectability politics” leveled by the Guardian columnist Steven Thrasher. He characterized the museum as a “project of U.S. Nationalism” that is at odds with modern black activist sensibilities of blackness on its own terms. To (perhaps unfairly) condense Thrasher’s points, he wonders why such a big project on the National Mall to be scrutinized under the white gaze is even necessary, and if it will advance an unquestioning view of American nationalism and patriotism that has often shortchanged black people even as it claimed to help them. My sense is that the National Museum of African American History of Culture actually muddles and undermines the interracial narrative of progress that undergirds the American nationalist project. Placement on the National Mall could be fairly read as begging for a seat at the master’s table, as Thrasher seems to believe. Or it could be a statement that the table is ours because we built it. The oft-quoted phrase used in museum opening events that “black history is American history” could be interpreted as a plea—or as a declaration of ownership.